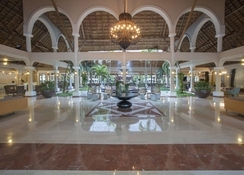 Located centrally in the Riviera Maya, The Grand Palladium Colonial Resort and Spa is a holiday paradise. This eco-friendly property is nestled among lush gardens dotted with tropical vegetation. With an 800-metre-long private beach of fine white sand pampered by turquoise waters of the Caribbean, the Grand Palladium Colonial is an easy choice, just a short drive from Tulum, Puerto Morelos and Playa del Carmen. 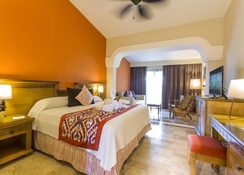 The hotel offers accommodation in four different categories called as Standard Suite, Junior Suite Mayan Suite, and Superior Suite. Some of the rooms also come with a private jacuzzi and massage bath tubs. The hotel's extensive dining scene consists a choice of 14 buffet and a la carte restaurants and 25 bars. 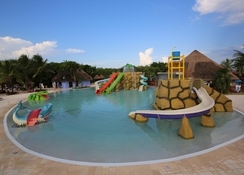 In addition to that, the Grand Palladium Colonial comprises of seven different varieties of pools, a luxurious spa, multi-sport centre, evening entertainment and an activity club for young guests. 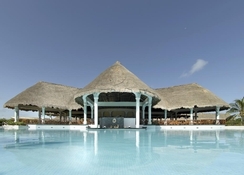 Guests can also access facilities in any of the Grand Palladium hotels in the complex. Located amid beautifully manicured gardens, The Grand Palladium Colonial Resort and Spa is just 32km form Playa del Carmen and 30km from Tulum. 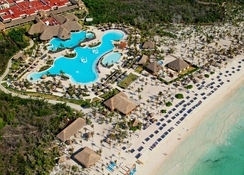 The Cozumel International Airport is around 52km, while Cancun International Airport is 90km from the property. Kantenah Bay is just 1.2km and Xcacel-Xcacelito is just 13.8km for fantastic day trips. At The Grand Palladium Colonial Resort and Spa, you get to choose from a selection of four categories of suites – Standard, Junior, Mayan and Superior. A Standard Room at this hotel is equipped with a king size bed or two doubles and offers great views of the gardens. Decorated in Spanish colonial style, these accommodations are air-conditioned with a ceiling fan, minibar, safety deposit box, hair dryer, direct dial telephone, coffee maker, bathroom amenities, iron and ironing board and pillow menu. The Superior Suites are extra spacious and have got private jacuzzis, flat screen TVs, and private bathrooms. The hotel has got nine a la carte restaurants with a diverse selection of cuisines. There are five buffet style restaurants complemented by as many as 25 bars that offer a large variety of cocktails, wines, spirits and fruit beverages. The buffet breakfasts, lunches and dinners comprise of Mexican, Italian and a lot of other international cuisines. 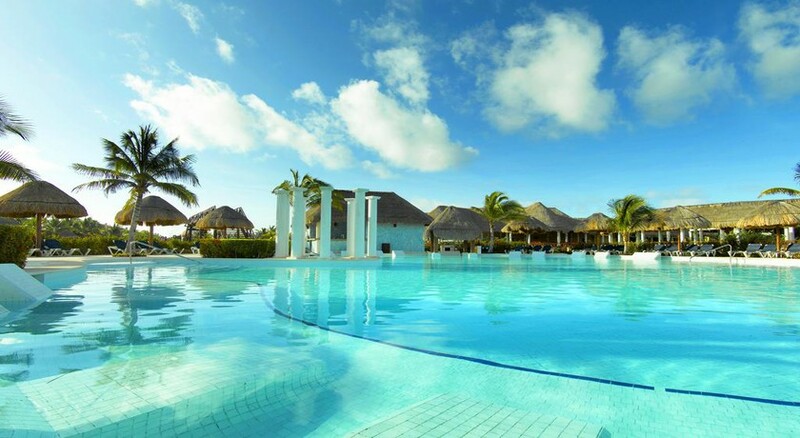 As many as seven fresh water pools adorn the campus of The Grand Palladium Colonial Resort and Spa. The hotel also boasts a theatre that hosts theatre nights every day of the week. For sports and leisure, there are volleyball, archery, soccer, paddle, live music and shows, indoor games, pool and table tennis. The Sunset Boulevard Discotheque is a great place for adults to dance the night away, while kids can enjoy at the mini-disco. There is a children’s club for young guests. Besides, there are a couple of good options for excursions and sightseeing around the property. You can go to the Tulum Jungle and Cenotes and explore the water filled caves around. Blue Cenote of Sammulá and Chichén Itzá are a close drive from the property.